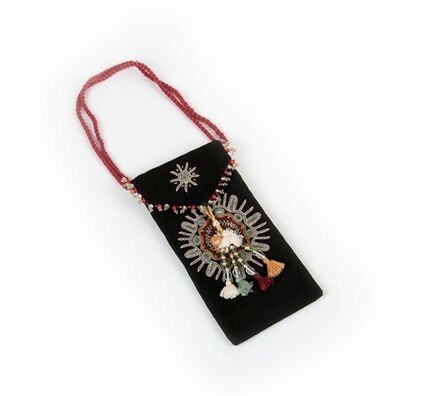 This hand-embroidered bag from India's Kala Raksha Vidhyalaya gives you a wearable work of art with centuries-old history and contemporary embellishments that honor India's past and present. The size of this bag allows you to carry more than just your glasses, a smartphone or credit card, perhaps. The contemporary embellishments coupled with historical perspective make this petite bag work equally well with casual or business wear, and invariably earn you questions and compliments.